Province level Gathering and orientation organised by NABUN Province no 3 committee has been concluded . The chief guest of the programme was GEFONT vice President Cde. Jeetendra Shrestha .Inaugurating the programme ,GEFONT vice President highlighted on GEFONT Policy and Programme . Cde. 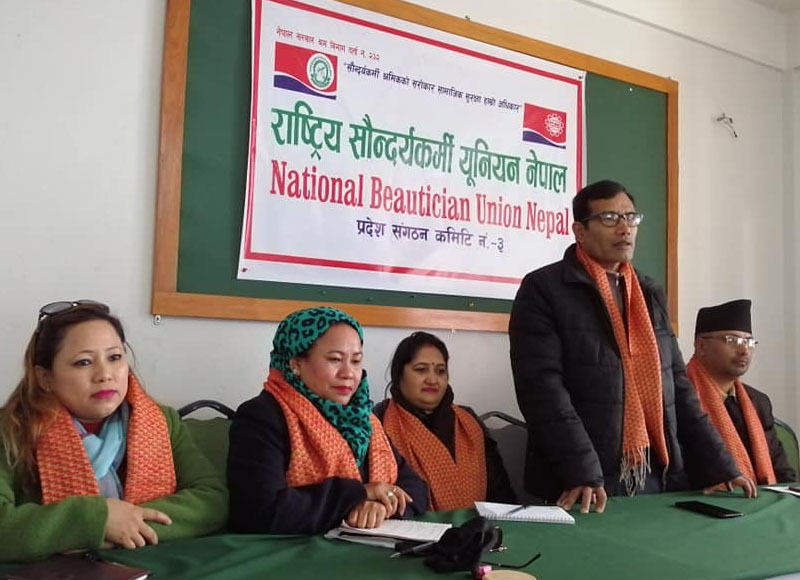 Shrestha said, one of the the base of the union is the membership ,so we should focus on membership expansion to make strong union. On the occasion, President GEFONT Province 3 Cde. Ramhari Nepal,secretary Cde.Arjun Aryal,member Krishna Rimal and NABUN president Cde. Suman Gurung facilitated the sessions on Basic Trade Union,Union Management . Similarly, Kathmandu Valley leval gathering reformed the Bhaktapur coordination committee under the Presidency of Cde.Tara Basnet. Copyright © 2019, GEFONT Nepal. All rights reserved.